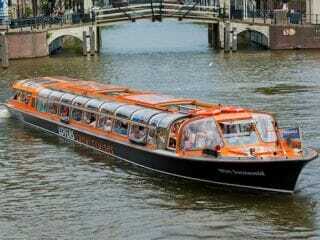 In order to compare the traditional canal cruises in a large tour boat please check the overview below. Further below are short profiles of all individual companies, including boat pictures. The locations of these companies are marked on Google Maps at the bottom of the page. Please check the table below for a comparison of traditional canal cruises in a large tour boat. Further below are short profiles of the individual companies, including boat pictures. Their locations are marked on Google Maps at the bottom of this page. Lovers CS 09.00-22.00 60 partly AG 18 lang. 16,- / 10,- yes n.a. Kooij Rokin & CS 10.00-22.00 60 partly AG 10 lang. 11,-/7,- yes n.a. Rederij Plas CS 10.00-21.00 60 partly AG 6 lang. 11,-/7,- yes n.a. NB 1: Scheduled times are the regular peak season times. Always check the current schedule at the tour company itself. NB 2: AG = pre-recorded Audio Guide, with number of languages. NB 3: Please refer to the Google Map at the bottom of this page for an overview of all locations. Kooij is a family business and nearly a century old. 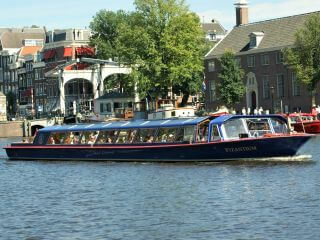 It is the oldest canal cruise company in Amsterdam. And so it shows, in a positive sense. Kooij has its own neat and very central location (between Dam Square and Munt Tower) and more classical boats than its competitors. 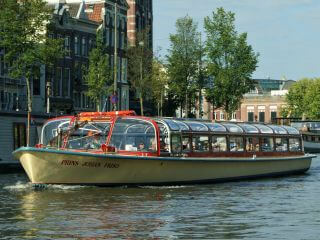 The Blue Boat Company offers a wide range of canal cruises in its clear blue boats. They also organize creative theme tours, like the Pokémon tour, the Hard Rock Cruise and a tour that’s tailored to young kids. Their location is close to the popular Leidseplein, the Museum Quarter and the Vondelpark. 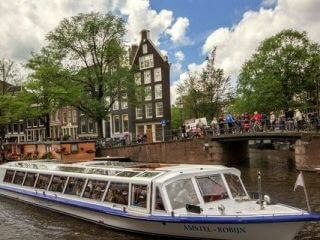 Gray Line / Stromma offers a wide selection of traditional canal cruises in terms of locations and departure times. They also sell other types of canals tours and economic tickets combining a canal cruise with entry to some of the large museums. Lovers (named after the original founder) is part of the omnipresent Tours & Tickets group. 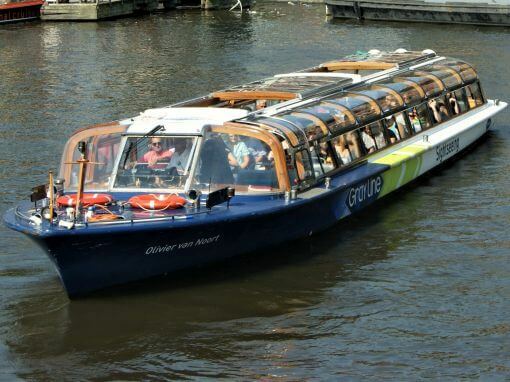 They offer a wide range of traditional canal tours and are a one stop shop for all favourite attractions and tours in Amsterdam, including museums and bus tours. Lovers’ main dock is in front of central station. ‘Amsterdam Canal Cruises’ is part of the Blue Boat Company and has a similar product range. It stands out with its particular location: directly in front of the Heineken Experience. Rederij Plas belongs to the Kooij company and offers the cheapest traditional canal cruise from its dock close to Central Station. In the evening there are more expensive two-hour trips with drinks and snacks on board. The duration of a traditional canal cruise is fixed and you cannot get on and off during the tour. 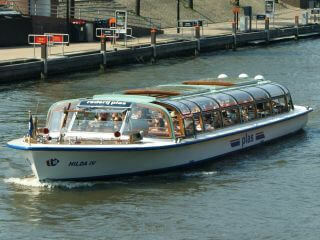 If you prefer to have some more flexibility, then have a look at the Hop on – Hop off canal tours. Their boats are similar, they also have a captain and they also go fixed routes. But you can use them all day long and hop on and off as often as you like.